The White Dog Blog: Why, it was lovely, thank you! Duncan, I never doubted that yours was BY FAR the most awesome of the pupcakes. That and tissues to shred too. I am humming 'Perfect Day'. Glad you had a swell time Duncan and we drooled over the pix of your cake. Have a tremendous Thursday. Duncan....Hap-Pee Belated Birthday. I sure hope you saved me a piece of that cake! Sounds like you had a wonderful Birthday. You where very cute as a young pup. THAT is a super Birfday Cake recipe.. We are gonna have mom SAVE it fur OUR Birfdays. WE love your Time Warp pictures... no matter WHEN you posted them. They are GRRRREAT. 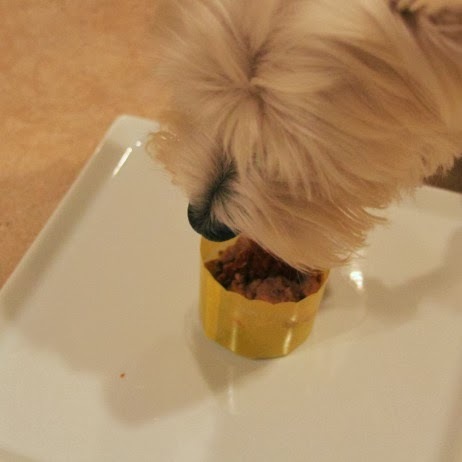 Oh yum....that's the best kind of pupcake in our opinion. Love the puppy picture. 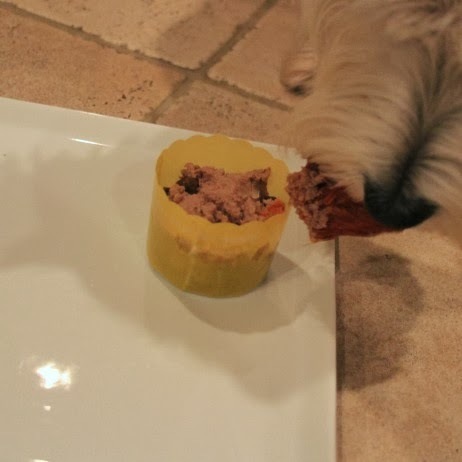 Your pupcake sounds fabulous to us, Duncan! You were sure one cute little pup! Glad your birfday was wonderful! Aw, if we could all be pups together! Oh Duncan, you are one lucky fella!!! That pupcake is just makin' me slobbers all over myself! Yummers fursure! And you as a wee lad.....AWWWWEEEEE!! Soooo cute!! Happy Happy Happy Burthday Duncan! Hi! I's back to bloggin again! Nawww!! What a cute pup! We like the idea of that pup-cake! We'll have to make sure the peep thinks of that when our barkdays come around! Happy happy woofy HAPPY belated birthday to you Duncan! Well, I would say your pup cake was well nicer than that human ones, it sounded great! Glad you had a super day, and what a cute wee pup you were!